Many a fleece will deliver smooth, perspiration-wicking comfort and performance, but not everyone will look as good doing it as the Obermeyer Siena Fleece Mid-Layer Top. 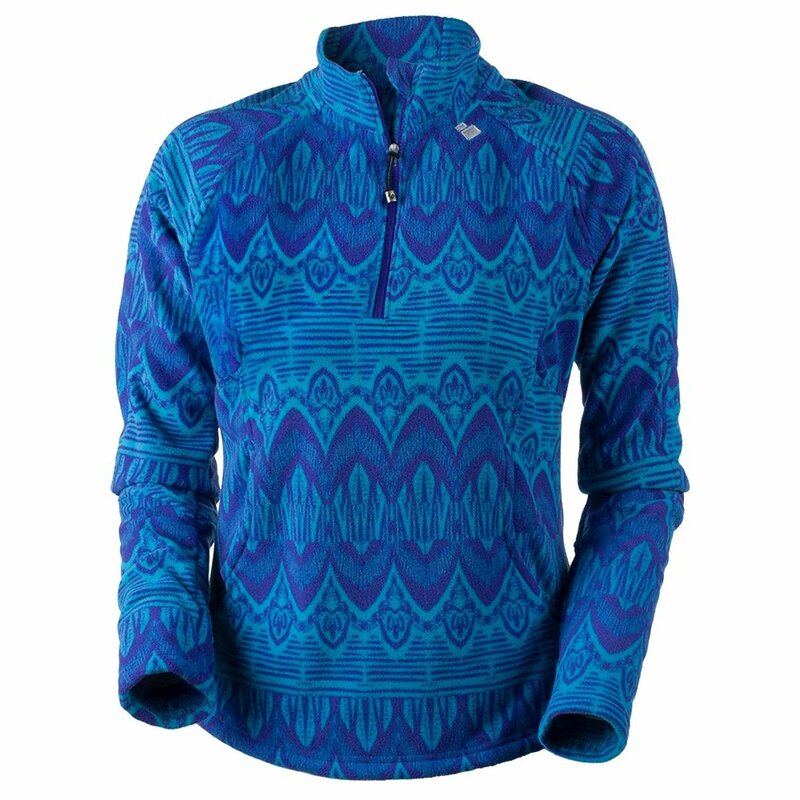 Made from 100 percent polyester recycled xtreme fleece, the Siena comes in many colorful patterns and solids. It hugs your form comfortably thanks to the shaped seams. The combination of quarter zipper and mock neck help you adjust from fully bundled to partially ventilated, and the kangaroo-style pocket lets you burrow your fingers away. "Could you tell me the length of this item: Style: 17011"
"The center back length measures 24.5". Hope this information helps. " It was not flattering on me unfortunately. The pattern seemed to hit me in the wrong place. Very cute however and soft.